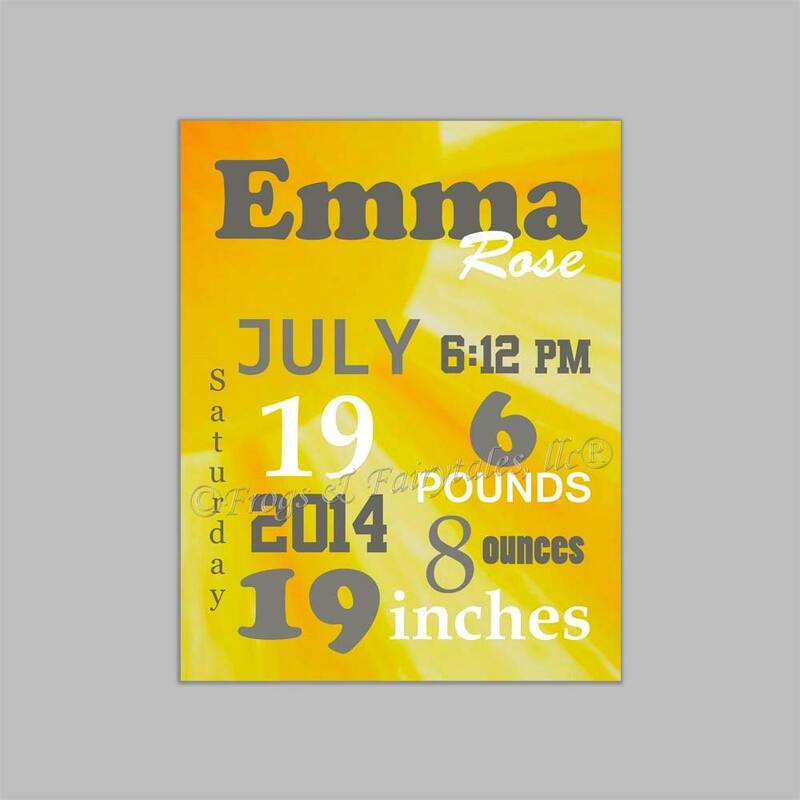 This keepsake birth announcement wall art is the perfect addition to any child's room, and makes a great gift as well! This design is great for a gender neutral room! The colors of the fonts can be changed. Simply choose custom colors from the drop down menu when ordering, and leave your color choices in the note to seller section. This is a gallery wrapped print, so the staples are hidden on the back. It is printed on matte finish canvas, signed, and sealed with a semi-gloss to protect the art from dirt and dust. It is hung with a picture hanger, unless noted on your order that you'd prefer ribbon. When placing your order, in the note to seller section please tell me the info to appear on the birth announcement. I will email you a proof to approve before printing once I have it completed.